It has been a pretty eventful twelve months for sport on the South Atlantic island of Saint Helena, to say the least. In April, the island sent a total of nine athletes, competing in swimming, athletics, badminton and shooting, to the 2018 Commonwealth Games on Australia's Gold Coast, and although none of them were in the hunt for medals, athlete Sean Crowie did come close to breaking his own national record for the 100 metres. The Saint Helena Cricket Association sprung a few surprises during the 2018-19 ICC World Twenty20 qualifiers, which were held in Botswana in October, defeating Swaziland, Malawi and Lesotho in their first three matches in the round-robin tournament, but then fell to Botswana, Mozambique and Namibia. They still managed to finish in third place, a remarkable achievement for such a small island, and one which did not go unnoticed by the world's media. The second-ever all-Saint Helenian team (and the first all-family team from the island) to take part in the prestigious Cape Town to Saint Helena sailing race set off on the Carpe Diem, accompanied by crews staffing fourteen other vessels, from Table Bay on Boxing Day, albeit after some personnel troubles, and finished in sixth place in its class. On an island with just over 4500 inhabitants, raising funds to take part in sporting events abroad is no easy task, and the Saint Helena Football Association has been doing just that since last July in order to take part in next year's Inter Games, which are to be held on the Welsh island of Anglesey (Ynys Môn) from 15-22 June (see previous article). The SHFA are in the process of raising £80000, and have received around £42000 to date. The SHFA have also benefitted from a couple of pieces of fairly large-scale sponsorship, and an incredible gesture from a local businessman who walked into the SHFA office one afternoon in November, donated £10000 and more or less walked straight back out again. A crowdfunding initiative is also under way (see bottom of article). In the midst of all the fundraising activities, including selling car raffle tickets and organising various events such as a reggae night, community bingo and a sponsored walk, the 2018 football season on the island - delayed to a prolonged period of extremely inclement weather in August - extended into 2019 with the last round of matches in the Inter-District Cup taking place on New Year's Day. The league season went pretty much as expected, with 2017 champions Rovers and cup winners Harts slugging it out at the top of the table a country mile ahead of everyone else. The only defeats suffered by either team were against each other, though there were good showings by some of the other sides, too. Wolves were only formed in 2015, but achieved their second third-place finish since their foundation, in no small part thanks to goals from the likes of Cody Thomas, Greg Pillips and Jace Williams. Bellboys finished a point behind Wolves; Ryan Benjamin was voted SHFA Player of the Season, and his goals, together with those of Jamie Thomas and Tyler Brady, ensured that the seven-times champions finished in fourth place and reached the semi-finals of the Knockout Cup. Wirebirds, who won the last of their five league titles back on 2013, finished fifth, two points ahead of Axis, who were briefly second early on in the season but fell away badly at the tail-end of the campaign, losing their last four matches. The campaign was a disaster for 2017 Knockout Cup runners-up Chop Shop Boys, both on and off the pitch. They suffered two of the three heaviest defeats recorded in the league season, finding themselves on the wrong end of an 18:0 mauling by Rovers, and a 17:1 defeat by Bellboys when they were forced to start with eight available players, which decreased to the minimum seven after one of the players was unable to come out for the second half. If that wasn't bad enough, they were docked two points for failing to provide match officials for a league match, and they then lost 11:1 to Harts in the Knockout Cup. But, at least they ended the league season on the right note. Having not won a match since the first day of the season, they won their last two games to finish seventh. Saints are comprised of a team of veterans with an average age of somewhere in the mid-forties, but, despite suffering some heavy defeats, they kept plugging away, and might have won more games than just the one victory against Crusaders only for a lack of support for their forwards in the last third of the pitch. They forfeited a match against Harts, which was to have an indirect difference on the outcome of the league championship. (More on that anon..) Crusaders picked up the wooden spoon after enduring a miserable season, and lost all but two matches during their league campaign. They also lost 5:0 to Bellboys in the Knockout after being forced to start with ten men, and then lost another man during the first half due, to injury. The regular season ended with both Rovers and Harts level on points; if Harts' game against Saints had gone ahead, they would most probably have won, and won well, but they probably benefitted more from Saints forfeiting the three points, as they finished the season with a somewhat inferior goal-difference. As Saints had forfeited the three points, under SHFA rules, goal-difference could not be used to determine the destination of the championship. Head-to-head results failed to separate the teams, as both matches between the teams ended 2:0, one in Harts' favour, the other result going Rovers' way. So, it all came down to a play-off, which was held on 18 November, to decide who would lift the title. And, it was a goal from Seán-Lee Thomas which swung the pendulum Harts' way, ensuring their first title in three years and denying Rovers their third title on the trot. 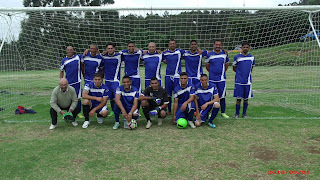 It was only their second title since 2007; in the intervening period, they had finished as runners-up on nine occasions. The period of bad weather which had begun in August and lasted well into September had not only delayed the league, but the Knockout Cup and Inter-District Cup competitions, but Harts continued on in the former as they had finished the league season, and easily disposed of Wirebirds in the preliminary round. They then trounced Chop Shop Boys, who had reached the final of the 2017 Knockout Cup, by 11 goals to 1. The prolific Seán-Lee Thomas and Andrew Yon both scored hat-tricks as yet another double-figure defeat was inflicted on their opponents to round off a wretched season. Rovers eased past Wolves to reach the semis, and Bellboys defeated Crusaders 5:0. Crusaders began the match with ten men, and finished it with nine after one of their players went off injured, but they were tenacious in defeat. The real drama came in the first quarter-final to be played, when the match between Saints and Axis finished 2:2 and went to penalties. David Young scored the decisive spot-kick to send Axis through 5:4 on penalties. Both semi-finals went to form, with Harts beating Axis 3:1, and Rovers defeating Bellboys by the same score. Bizarrely, Bellboys began the match with ten men after star man Ryan Benjamin turned up late after getting the kick-off time wrong, and he arrived to discover that Rico Benjamin had put Rovers ahead with a thirty-yard drive. He added a second before Ronan Legg settled matters with a shot from the left-hand side which flew into the far corner. Rick Joshua got Bellboys' consolation goal when he bundled the ball home from close range after a goalmouth scramble. Knockout Cup Final day on 9 December also doubled as the SHFA's presentation day, when trophies and medals are handed out for the various competitions on the island, but it was a day on which Rovers goalkeeper Keith Yon would play no active part in the proceedings. He had not recovered from a knee injury sustained in the semi-final victory over Bellboys, so his place in goal was taken by 15-year-old Trystan Thomas, who had actually scored five goals in his début season. He was picking the ball out of the net after 15 minutes, when Andrew Yon had given Harts the lead after some confusion between Thomas and defender Ross O'Dean. Rico Benjamin equalised several minutes into the second half as Rovers began to turn the screw, and they hit the front when Ronan Legg smashed the ball low and hard from just outside the penalty area, beating Jia Peters in the Harts goal. Tyler Benjamin increased Rovers' lead with an individual goal of some style, first embarking on a solo run before finding the top corner of Peters' goal with a shot from 20 yards. Ronan Legg put the result beyond doubt after he finished off a one-two by slotting the ball past Peters for Rovers' fourth. It was Legg's thirty-ninth goal of the season in league and cup competition - he had scored six goals or more in three matches, and three goals or more in two more. The victory was sweet revenge for him and his team-mates following their agonising defeat in the championship play-off, and it was Rovers' fifth Knockout Cup since the club reformed in 2011 (it had disbanded at the end of 2002). However, the domestic season wasn't over just yet; there was still the Inter-District Cup to play for. As the name suggests, this is a competition between teams - drawn from all nine clubs - representing four of Saint Helena's eight districts: Half Tree Hollow, Jamestown, Longwood and St. Paul's. It took place during the last week of December and stretched into 2019, with the last round of matches taking place on New Year's Day. Ronan Legg continued his fine scoring form in the colours of St. Paul's, scoring in every game, including a hat-trick in the first game against Jamestown, who thrashed Longwood 6:0 in their next match. Stats fans might be interested in the fact that the goals were evenly divided between players from the top three teams in the league championship: Rovers' Rico Benjamin and Shane Stroud from Harts each scored twice, whilst Wolves players Liam Yon and Jace Williams contributed with a goal apiece. Half-Tree Hollow had previously defeated Longwood, but came up short against St. Paul's, who were the only team to have a 100 per cent record after two matches. Ronan Legg scored the winner for St. Paul's against Longwood in their final game to ensure their second Inter-District title in three years. 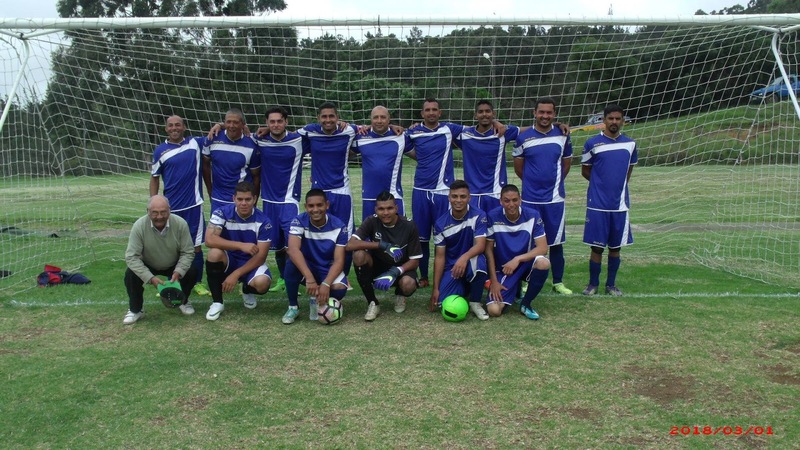 Half-Tree Hollow secured second place after defeating Jamestown by the odd goal in seven in the tournament's final match, thanks in part to a brace from Rovers' Tyler Benjamin. 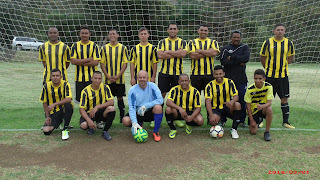 Many of the players went from the regular season into training with the fledgling Saint Helena national team as part of their planned trip to Wales to take part in the Inter Games. Some thirty-five of them commenced training in September, and twenty-seven remained going into the New Year. 2018 was an eventful year for sport on Saint Helena; 2019 will be a historic one for football on the island, should the SHFA manage to raise the funds needed to make the long journey to Anglesey in June. *** Play-off to decide destination of league championship; Harts and Rovers finished level on points, partly due to a 3:0 walkover awarded to Harts for their unplayed fixture against Saints on 13 October. Therefore, the league could not be decided on goal-difference, and the head-to-head between the teams was one win each, and they had also beaten each other 1:0. 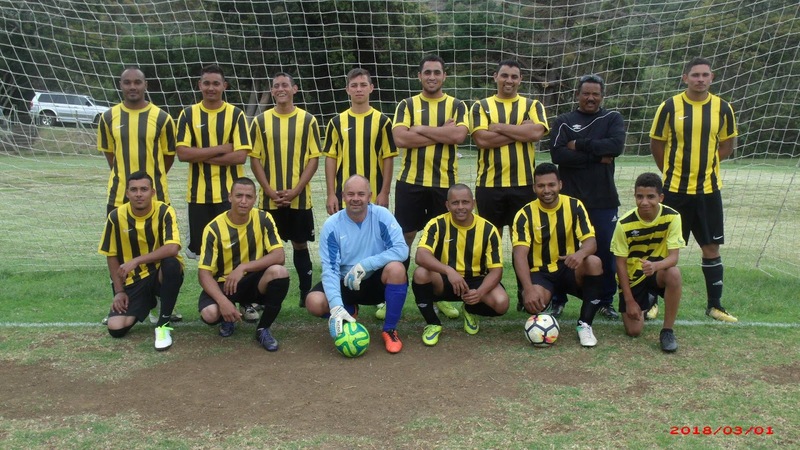 FOOTNOTE: As you will have read above, the Saint Helena FA are intent on sending a team to Wales in order to compete in their first-ever international tournament. However, they will need to raise a total of some £80000 in order to send a squad of 20, plus 4 backroom staff to the Inter Games, which will take place in Anglesey in June. They have raised over £40000 on-island which, for an island with a population of 4500 people, a fragile economy and increasing poverty levels, is a phenomenal effort, but the island's wallets can only take so much. AUTHOR'S NOTE: Much of the above information came from the Independent and Sentinel newspapers and Facebook. Many thanks to SHFA chairman Nick Stevens for his assistance.